We know that anyone can recover regardless of where they came from. We care about where you are now and where you are going. *Please note that our recovery housing programs are flexible and accommodates those who are already employed and/or in school upon entrance. Cells phones and other electronic devices are allowed during all phases of our program. We believe that using drugs and alcohol is just a symptom of the problem- not the actual problem itself. Once you’ve been successful at removing drugs and alcohol from your life, the work of repairing destructive attitudes, behaviors, and negative patterns begins. This is where you find peace and calm in recovery and throughout all areas of your life. We believe in focusing on the solution in the present, not on the past. We know that anyone can recover regardless of where they came from. We care about where you are now and where you are going. Beyond the 30-day Orientation, there are no time lengths for the phases, as each client is unique and moves at their own pace according to their needs and progress. Our program is designed to help you move forward- not hold you back! Please note that our program is flexible and accommodates clients who are already employed upon entrance to Harmony House. Cells phones and other electronic devices are allowed during all phases of our program. Our clients enter the New Hope Rising Recovery Housing Program on the Orientation Phase. This initial 30-day period is specifically designed to assist our residents with acclimating to their new environment and learning what it feels like to be in recovery once outside of the structure of inpatient treatment. Individualized Recovery Plans (IRPs) are developed with the client to find out what their goals are and what they hope to achieve in our program and their lives. In addition to beginning outpatient treatment, residents will attend daily 12-step meetings in the community, build a support network, and obtain a sponsor and a home group. We expect that making clear decisions in early recovery can be challenging at times. Free time during this early phase is accounted for, and for the first two weeks there is a buddy system in place. When leaving the residence clients will choose another resident to take with them who has already successfully completed the Orientation Phase. Exceptions to this guideline are made when the client on orientation is going to work, meeting with their sponsor, or having visitation with their children. Overnight passes are not permitted during Orientation. Rest assured that the Orientation Phase passes quickly and is not meant to place restrictions on our clients, but rather to ensure that they build a strong foundation in their recovery, get grounded in their surroundings, and successfully move forward in our program and beyond to attain their goals. Our Orientation Phase is one of the unique aspects of our program that makes it so successful, because when you build a strong foundation for your recovery in the beginning and are allowed time to focus solely on your unique healing process, the sky is the limit and you can achieve your full potential! After successfully completing the Orientation Phase and obtaining a sponsor, residents move up to Phase 1! Residents in Phase 1 start to identify their other goals in their IRP, while maintaining their recovery as a priority. If not already employed or in school, clients begin job readiness activities such as building a resume, preparing for interviews, and completing necessary tasks to return to school. Those who are not already employed are given the opportunity to participate in Project Give Back, our innovative volunteer program that partners with local organizations, such as Brookhaven Town Animal Shelter. We believe that this builds a sense of purpose, community, and gratitude while attaining job skills, references, and for minimizing resume gaps in employment. We understand that returning to work or school and building a career can seem challenging after periods of unemployment, lack of references, acquiring a criminal history, or leaving past employment on bad terms. Our staff specializes in addressing these issues. We focus on our clients’ strengths and skills, rather than their obstacles and past mistakes. We believe that every one of our clients is capable of self-sufficiency. While attendance at daily 12-Step meeting, outpatient treatment, Community Dinner and in house activity is required, residents in Phase 1 begin to experience the responsibility of using their time more freely, while remaining in a supportive, recovery housing environment. Residents are permitted 2 overnight passes per month and curfew is 11PM during the week and 11:30PM on Friday and Saturday. After completing Phase 1, residents enter into Phase 2! Here, our clients begin the execution of goals that were prepared for during Phase 1. Emphasis is placed on actively seeking employment, interviewing for jobs, returning to school, and participating in ACESS (vocational assistance program), while continuing to work on their recovery. Learning to balance a growing number of responsibilities, while maintaining recovery as a priority is key during Phase 2. Residents must attend 12-step meetings 6 days per week and outpatient treatment, but in house requirements are more flexible according to work and school schedules. Curfew is extended to 12:00AM on weekends, with an 11 PM curfew during the week. Overnights are permitted once per week on the weekends. After completing Phase 2, residents enter into Phase 3! Here, our clients continue to work toward the goals that were started in Phase 2, while maintaining their recovery as a priority. Learning not just how to reach their goals, but to maintain them, is essential in Phase 3. Additional goals may be identified as well, as clients become more and more stable in their recovery and active in the community. Residents must attend 12-step meetings 5 days per week and outpatient treatment, but in house requirements are more flexible according to work and school schedules. Curfew is extended to 12:30AM on weekends, with an 11PM curfew during the week. Overnights are permitted once per week on the weekends. After completing Phase 3, residents enter into the 4th and final phase of the Harmony House program. Here, our clients continue to maintain the goals that they created for themselves throughout the program, while continuing to create new objectives for their future once they graduate our program. Residents begin searching for permanent housing, planning for reunification with their children and families, and strengthening their support network as they prepare to transition into independent living. Continuing to maintain the balance between professional and personal life, while keeping their recovery as a priority is vital to successfully completing the program. Residents must attend 12-step meetings 5 days per week and outpatient treatment, but in house requirements are more flexible according to work and school schedules. Curfew is extended to 12:30 AM on weekends, with an 11 PM curfew during the week. Overnights are permitted once per week on the weekends with one additional weekend pass each month. The NHR program encourages personal goal development in all areas. An emphasis is placed on self-sufficiency and integration into community life. Our staff assists residents with re-entering the workforce and regaining their independence by helping with resume development and job searching. The structure of our program is flexible for those already employed upon entrance to our program. We also provide assistance to residents who are interested in furthering their education, whether at a collegiate or vocational level. 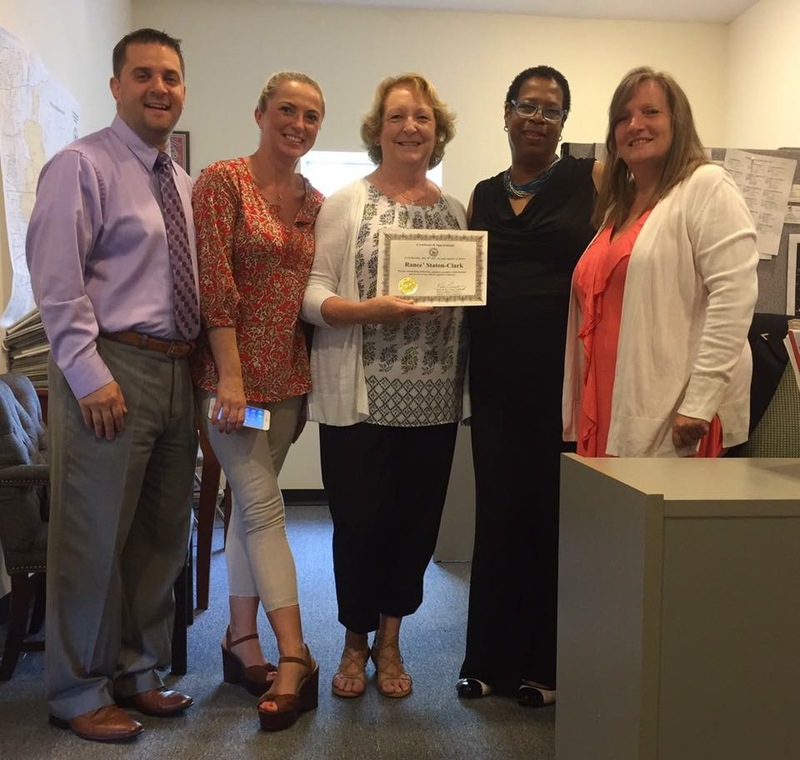 Photo: One of NHR’s female housing residents last day volunteering with Legislator Kate Browning’s office- receiving a certificate of appreciation. Our programs provide the opportunity to build a recovery support system among fellow residents, as well as within the thriving Long Island recovery community. 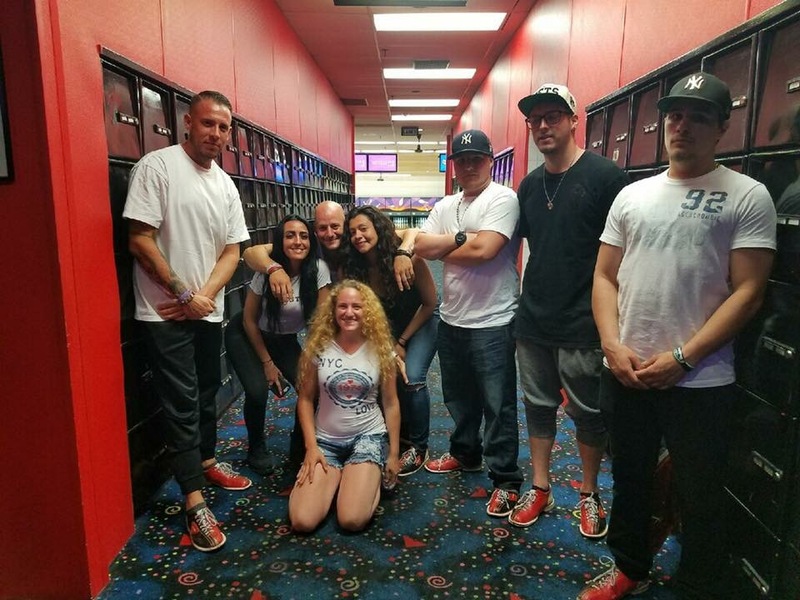 We believe that learning to have fun in recovery and developing hobbies and interests is critical. We incorporate a variety of recreational activities each month to foster a sense of community and friendship.